Vary your photography angles and get up close and personal to Africa's big game. As a general rule, wildlife photographers capture better images of big game from safari vehicles than on foot, because more ground can be covered and wildlife is less skittish when approached from a more familiar 4WD vehicle. But for the ultimate photographic experience where you can take one-of-a-kind images of elephants and other large mammals from ground level, make sure to spend time in the safety of a hide and bring home unique and amazing images from a different perspective. 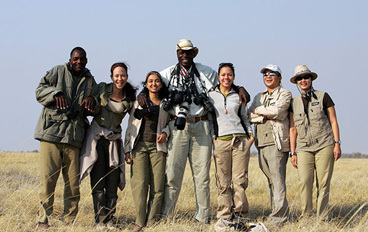 Kaingo Camp in South Luangwa has an impressive array of unique hides - including innovative hippo and carmine bee-eater hides - which are frequently used by National Geographic, Discovery Channel and BBC wildlife film crews. 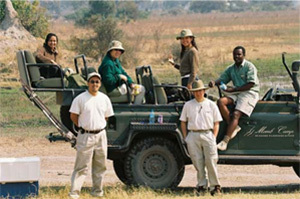 Then you have Kanga Camp in Zimbabwe's Mana Pools, home to the 'armchair safari' overlooking a very active waterhole. Many of the safari camps and lodges in our portfolio have built photographic hides in strategic locations frequented by animals so guests can unwind between game drives while waiting for the right animal to come into view. Take note that hides are not just for photographers. They are for anyone who wishes to have an up close and personal view into the lives of the animals and watch them undisturbed in their natural environment.